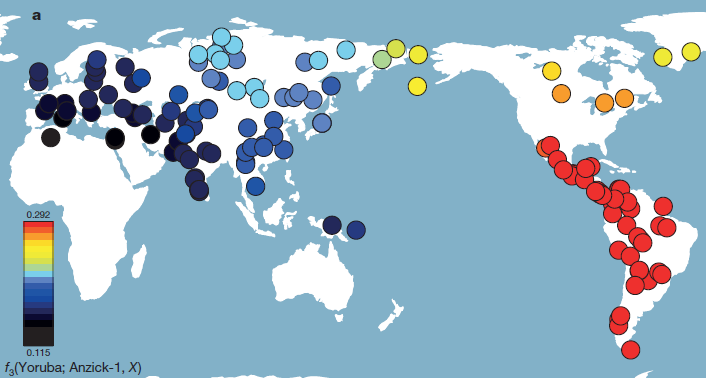 A new study is available with plenty of data on the haploid genetics of Siberian populations with focus on Tungusic peoples. Figure 1. Map of Siberia showing approximate locations of sampled populations and their basic haplogroup composition. For the meaning of abbreviations, check table 1. 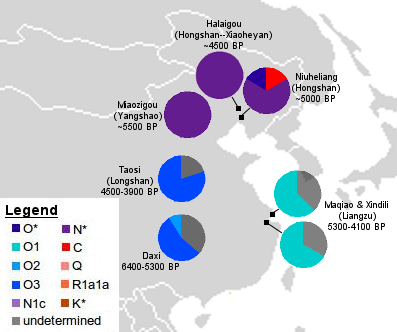 Typical NE Asian haplogroups like C and D are quite widely distributed, up to the point of becoming difficult to say much about them. Instead A is more concentrated (Nyukhza, Iengra, both of them Evenks, and Koryaks particularly), while Z does appear to show a similar pattern (but with presence among Kamchatka instead of Koryaks and a relevant distributon in NE Siberia (Berezovka and some Yakuts). 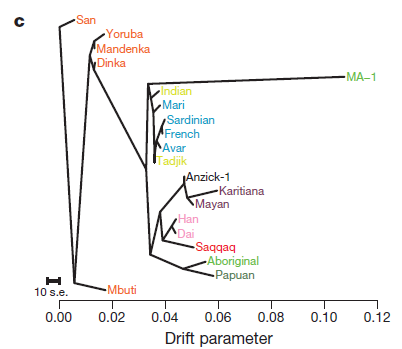 Haplogroup B is rare instead, only showing up in Southern Yakuts. It must be mentioned in any case because of its relevance in the original peopling of America. G is not too common, with the partial exception of G1, which shows an Eastern Siberian concentration. Y is concentrated among Nivkhs (no surprises here), while F seems most important in Yakutia (like B, it is not a typical Northern lineage but its bulk distribution lays further South). West Eurasian lineages, marked in Brown are concentrated in the Evens of Nyukhza, as well as among some Yakuts. Their presence among Yakuts is easy to understand considering their partial Turkic ancestry but the Nyukhza even larger apportion seems to me derived of some other kind of contact with Altai and the steppe, although the authors seem to favor Yakut admixture instead. Which is the difference between “M_N” and “Other”? No idea: ask the authors. But I’m quite positive that “Other” cannot mean L(xM,N) but rather “other M and N”. Speculatively, it could indicate the difference between some M and N sublineages they have tested for and others which they did not. It’s sloppy nomenclature in any case. [Important post-script note: excepted the basal SNP markers for C and N, which were tested for, all the haplogroups are defined based on STR markers, what may be wrong]. Table 4 lists the Y-DNA haplogroups for Evenks, Evens, Yakuts and Yukaghirs only. 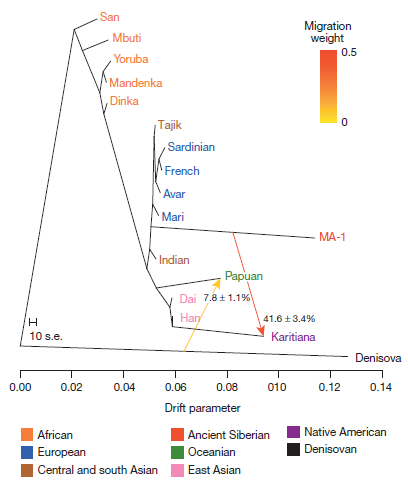 C3c1 is very dominant in the Tungusic populations: 87/127 among Evenks, 43/89 among Evens, but all the opposite among Yakuts (1/184) and rather weak also among Yukaghirs (2/13). Yakuts are dominated by N1c (173/184), lineage that has also some presence among the other sampled populations: Evenks: 18/127 (Nyukhza and Iengra groups), Evens: 30/89 (particularly Sakkyryyr and Sebjan groups), Yukaghir: 4/13. Q1 is found mostly among Yukaghirs (4/13) with a single Yakut other case. N1b is also of some importance among Tungusic peoples: 18/127 among Evenks (Taimyr and Stony Tunguska) and 13/89 among Evens (essentially in Tompo). C3* is found mostly among Nyukhza Evens (13/78), who also harbor most of the Western lineage I detected in the area (4/78). The other meaningful Western lineage spotted is, of course, R1a, which is found in two variants: R1a(xR1a1) is concentrated among Taimyr Evenks (3/18) with only another sample among Stony Tunguska Evenks (1/40). R1a1 instead is concentrated among Yakuts (4/184). There are also erratics (isolated single-individual samples) of C*, J2, O and F*. There is also other interesting material in the study but I can only extend myself so much. I strongly recommend reading it for everyone with interest in Siberian and related populations, be these Uralics, Native Americans or generally East and Central Asians. Homo sapiens was in China before 100,000 years ago! 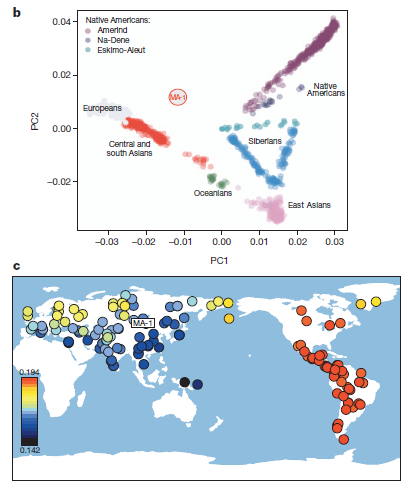 This finding consolidates the recent dating of African-like industries of India to c. 96,000 years ago, as well as other previous discoveries from mostly China, and, jointly, they totally out-date not just the ridiculous “60 Ka ago” mantra for the migration out-of-Africa (which we know is dated to c. 125,000 years ago in Arabia and Palestine) but also the previous estimates of c. 80,000 years ago for India (Petraglia 2007). Most researchers believe that anatomically modern humans (AMH) first appeared in Africa 160-190 ka ago, and would not have reached eastern Asia until ∼50 ka ago. However, the credibility of these scenarios might have been compromised by a largely inaccurate and compressed chronological framework previously established for hominin fossils found in China. Recently there has been a growing body of evidence indicating the possible presence of AMH in eastern Asia ca. 100 ka ago or even earlier. 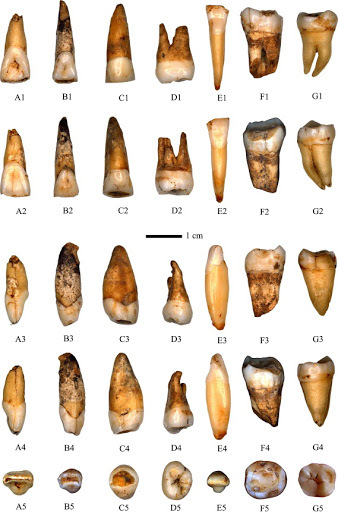 Here we report high-precision mass spectrometric U-series dating of intercalated flowstone samples from Huanglong Cave, a recently discovered Late Pleistocene hominin site in northern Hubei Province, central China. Systematic excavations there have led to the in situ discovery of seven hominin teeth and dozens of stone and bone artifacts. 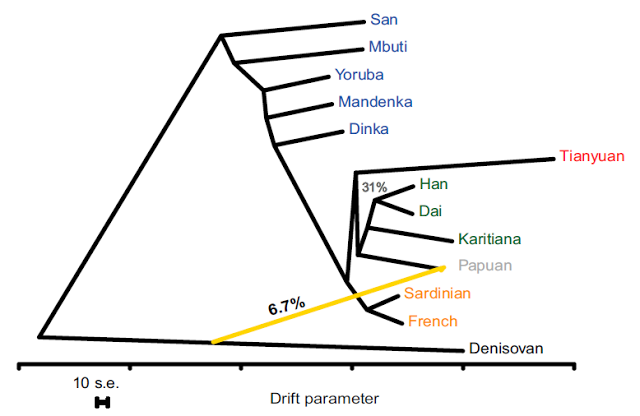 The U-series dates on localized thin flowstone formations bracket the hominin specimens between 81 and 101 ka, currently the most narrow time span for all AMH beyond 45 ka in China, if the assignment of the hominin teeth to modern Homo sapiens holds. 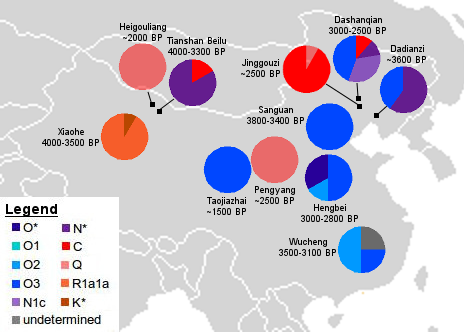 Alternatively this study provides further evidence for the early presence of an AMH morphology in China, through either independent evolution of local archaic populations or their assimilation with incoming AMH. Along with recent dating results for hominin samples from Homo erectus to AMH, a new extended and continuous timeline for Chinese hominin fossils is taking shape, which warrants a reconstruction of human evolution, especially the origins of modern humans in eastern Asia. The range of dates for the teeth is ample but the oldest one is of 102.1 ± 0.9 Ka ago. Other dates are very close to this one: 99.5 ± 2.2, 99.3 ± 1.6, 96.8 ± 1.0, etc. (see table 1), so there can be little doubt about their accuracy. complicated than those of modern humans (Liu et al., 2010b). Let’s not forget that further South in China, in Zhirendong, a “modern” jaw was found and dated to c. 100,000 years ago as well. Asia (e.g., Chu et al., 1998). … too bad for the “clock”, because a clock that doesn’t inform us of time with at least some accuracy is totally useless.